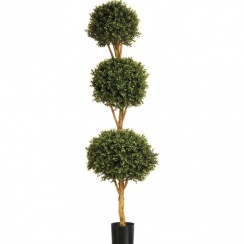 Topiary always looks dramatic and is very desirable but Real Topiary Trees are expensive and hard to maintain. 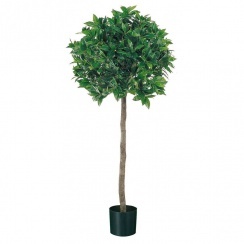 At Red Hot Plants we offer a large choice of very exciting Artificial Topiary. 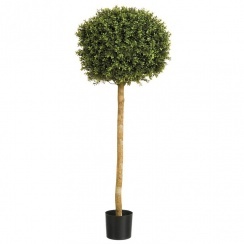 No pruning needed, instant impact and many of our Fake Topiary Plants are made from strong weather resistant material so perfect for immediately creating interest and atmosphere outdoor. 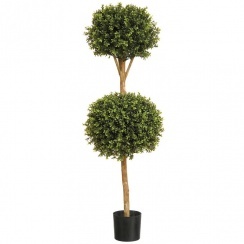 Our Artificial Spirals, Ball Trees and Boxwood Cones are often used in pairs for dressing doorways. The very popular Artificial Box Balls can come with either a stake for planters or a chain for using as a contemporary alternative to the traditional Hanging Basket. 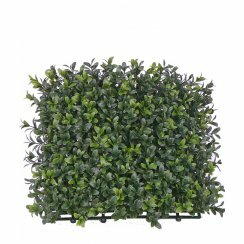 We also have top-grade Boxwood Mats for creating Artificial Hedging, or we can make up your Fake Hedge or Topiary shape bespoke, just enquire. 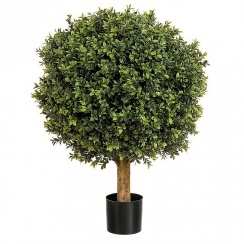 All our Artificial Topiary Range is high quality and certainly creates a very favourable first impression to offices and entrance ways. 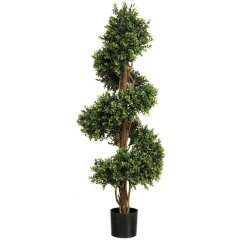 The added bonus is our Artificial Topiary Plants are maintenance free, stylish and no watering is needed, proving a very cost effective solution in the long term.